Just had a delivery in the last day or so and the entire experience has been awesome!! Good price, but more importantly the most amazing service, communication and care taken with my delivery! ​Well your service and handling was excellent, thank you so much for being so adaptable it really helped the job go very smoothly. Will definitely not hesitate to call you if needed and can recommend you for sure. 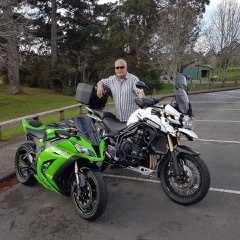 Just like to say thank you for picking my bike up from Rangiora and delivering it, here in Hamilton. I'd like to commend you both on the excellent communication, excellent pricing and outstanding service - picked up on time and delivered on time. If I ever need to move a bike again, you guys will be my first call.